This bright, two-bedroom apartment is situated in the beautiful Barceloneta neighborhood, where you’ll find yourself close to many beaches. The Barceloneta area is packed with many great bars and restaurants, as well as a cinema and a shopping centre in the nearby Port Vell. The Born and Gothic Quarter of Barcelona can be reached on foot in less than 20 minutes and you can get around the city easily by public transport. This lovely apartment has 2 bedrooms and 1 bathroom. Both bedrooms have a double bed, allowing up to 4 guests to stay here comfortably. 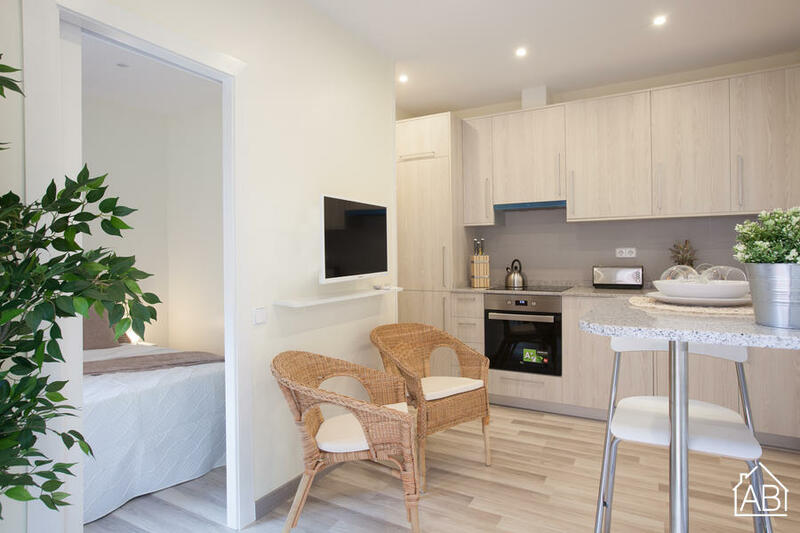 The apartment comes with a fully-equipped kitchen, allowing you to prepare your favorite meals, and maybe even try some Mediterranean specialties! From the living/dining area you have access to the balcony. The apartment comes with many conveniences, such as Internet connection, a TV, a dishwasher, a washing machine and a dryer. It also has air conditioning and heating, ensuring a comfortable stay all year around.